This product is already in your Notification List. This product is now in your Notification List. Oxygen with Colloidal Silver in Mt Berry Flavor offers all of the benefits of our flavored versions: no medicinal taste or after effects of conventional oxygen cylinders, the anti-bacterial qualities of colloidal silver, the instant-energy boost that oxygen delivers. And of course, for decades scientists the world over have known that oxygen helps with chronic Candidiasis (yeast infections) and Fibromyalgia... eliminates toxins in the body, allowing for fast recovery from injury, stress and exercise, while protecting the body from viruses and harmful bacteria. 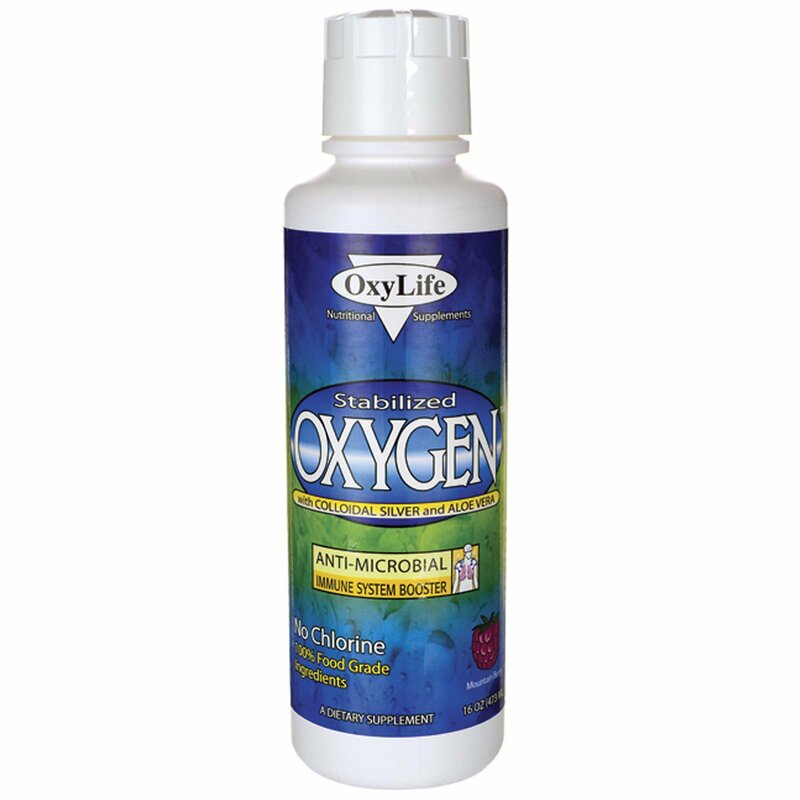 This revolutionary product from OxyLife provides additional oxygen to open the doors to those benefits: oxygen allows you to breathe better and have more energy while working out and going about your daily activities. One (1) to Two (2) ounces (30-60 ml) on an empty stomach once or twice daily. 1 ounce contains the equivalent oxygen of 25 drops of 35% Food Grade Hydrogen Peroxide.l Important to not eat or drink beverages 1/2 hour before and after consuming for best results. 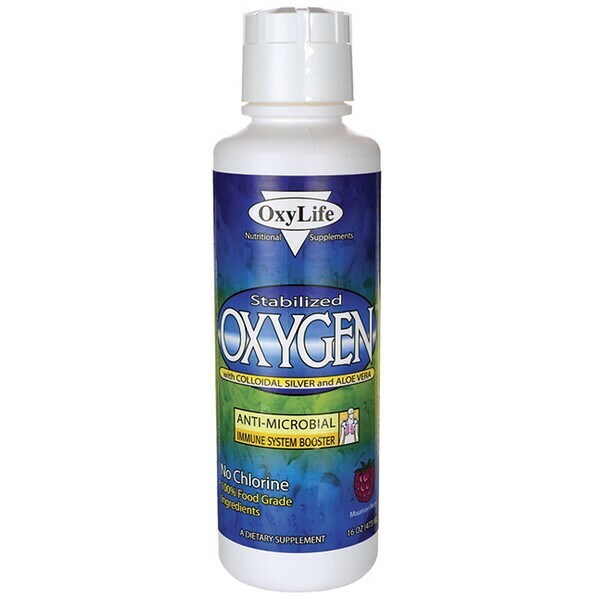 Consider taking these other OxyLife products: Second Wind O2 Spray and Zero 2 Sixty Oxygen Capsules. Purified water, aloe vera, 35% food grade hydrogen peroxide, colloidal silver (8 PPM), natural berry flavor and stevia. This product contains aloe vera. Read and follow directions carefully. Do not use if you have or develop diarrhea, loose stool, or abdomen problems because aloe vera may worsen these conditions and be harmful to your health. Consult physician if you have frequent diarrhea or if you are pregnant, nursing, taking medication, or have a medical condition. *Percent Daily Value Not Established.